Marketing in the digital age relies heavily on interesting and visible online content. Quality content always stands out and rises to the top even within the online marketing battlefield that contains noisy ads, rival company listings and click-bait articles to name but a few. The sites we operate at AZoNetwork.com have large and focussed communities that have grown to over 5 million monthly unique visitor sessions by quality content alone. That’s right, zero marketing or paid search spending, just lots of quality, targeted content. We’re often asked by clients to evaluate how engaging a certain piece of content and is it suitable for us to distribute on their behalf or should they be creating new content. Whilst Content Distribution and Content Creation both have the end result of content being posted online there are differences in the processes involved and the decisions behind choosing to go with either (or both) is very is very specific to your objectives. This article aims to breakdown the processes involved for each service and, ultimately, provide a guide to which service is best for your business. How do I get my content to rank? A major element of your solution is to ensure your content is useful, interesting and, most of all, engaging. Write for your audience and target your personas, don’t write for search engines. Google is more sophisticated than ever, they’ve thousands of PhD’s and data scientists, you are not going to beat them with cheap or spammy tactics such as keyword stuffing or dodgy link buying. Make your life simple, focus on unique quality content and ultimately, you will win. You can check out one example of how Google views the content of a site by conducting a site search (see image). This indicates over 8,660 entries in the Google Index for the material graphene on our Nanotechnology site AZoNano.com. In other words Google indicates the site has extensive “knowledge” on Graphene related content. If you wish to do such a search on any site simply type into Google “site:www.sitename.com subject”. We’ve set out below some tips and suggestions as to how we can help you tell your story to the widest possible audience who are relevant to your content. Fig. 1 - A customised e-mail to a very targeted audience is a great way to boost the distribution of your content. For Content Distribution we utilise existing content from your site. This could be in the form of a technical article, a white paper or application notes relating to your products or services. We repurpose your existing content and any related references to ensure that we upload a unique piece of content in its own right, ensuring that it has the best possible chance of ranking highly both on our sites and with external search engines. Remember, Google has strict policies about duplication, simply copying and pasting just won't cut it. We can also boost the distribution by placing it as sponsored content within subject specific Newsletters or Customised e-mails – Our editorial team will also post the articles on any relevant social media channels to ensure maximum exposure benefits. We provide Content Distribution in bundles of 10 – Just select how many you would like i.e. up to 30, up to 50, point us towards your content and we do the rest. We also provide our unique data analytics platform to monitor the engagement and ROI on your articles – You can then use this platform to determine where you have content successes that you can build on and where you could do better. We frequently hear the statement, “I know we should be doing more in relation to content marketing but we just don’t have the resources”. Does that sound familiar? We have teams of Editors and specialist Freelancers with specialist knowledge in all the subjects we cover across our network who can generate the content you need to increase your online exposure. All we require is a short brief on the subject matter, the tone, the style and the intended reader, and a few sources to draw material from. Using this information our team of scientific writers will create an engaging, informative and eye-catching article. We produce this content for you, and you accordingly own the copyright. You’re free to do whatever you please with the article. Whether you want to host it on your website, send it out in a newsletter or post it in a press release; the choice is yours. This is the golden question that a lot of our clients struggle with, there’s definite advantages to both Content Distribution and Content Creation, but the decision to use either method (or both) depends on individual cases. Content Distribution probably isn’t for you as dull content doesn’t generate engagement or leads. We’d recommend producing some fresh material using our Content Creation service. If you’ve already got good content there’s no need to make more! In cases like this, our Content Distribution packages are the best course of action. Our web footprint and large audiences mean those articles will finally see the light of day! Don’t worry, we can do all of the hard work for you. If you don’t have the time to write your own content, but also don’t want to miss out on the leads it will generate, Content Creation is the solution. This is the case for most of our clients, they have good content and healthy inbound traffic to their site, but a bit more attention wouldn’t go amiss. In these instances all that’s needed is Content Distribution to expand their horizons supported by email distribution to targeted audiences. Sometimes it’s worth scrapping the old un-engaging articles and creating fresh, new ones. Less is more, there’s no point in flooding the internet with content if nobody is going to read it. In fact one unengaging article can put readers off looking at any of your content altogether. Online it’s true that one bad content apple can spoil the bunch. In cases like this, it’s best to start from scratch to create some high quality articles which can then become part of a Content Distribution package. Alternatively, we can do all of this hard work for you with Content Creation. Don’t give up. Some fresh articles produced using our Content Creation service can resonate with customers you didn’t even know existed. Additionally, the listing of these articles on our site will generate healthy inbound traffic to your company’s site. If you have dry, tired content (or you don’t own the copyright to the good stuff on your website) you’re not going to be getting much engagement and you should consider content creation. If you already have engaging content (which you own the copyright for) on your site and you’d like it to reach a wider audience then Content Distribution is for you. However, the examples given above are polar opposites and it’s rare for people to exist exclusively in one camp or the other. The best course of action is usually a combination of the two in varying measures. You can find out more in our media site or contact one of our team who can answer any of your questions in more detail. 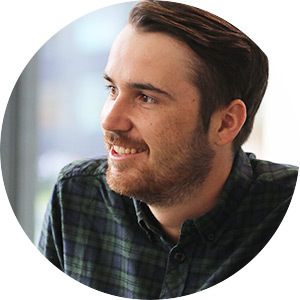 Jake graduated from the University of Manchester with an integrated masters in Chemistry with honours. Due to his two left hands the practical side of science never appealed to him, instead he focused his studies on the field of science communication. His degree, combined with his previous experience in the promotion and marketing of events, meant a career in science marketing was a no-brainer. In his spare time Jake enjoys keeping up with new music, reading anything he can get his hands on and going on the occasional run.